Aaron's practice areas include business law, securities regulations, blockchain technology, cryptoassets/cryptocurrencies, commercial contracts, and real estate. He prefers working with startups and helping them properly handle legal matters related to their business. 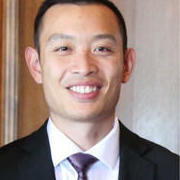 Aaron graduated from Golden Gate University and also has a bachelor's degree in business administration. Aaron's prior experience includes founding two international companies (supply chain and immigration), managing the finances, contracts, and operational analytics of a large operation, and helping companies conduct compliant venture financings. He lives in the Bay Area but… read more represents clients throughout the country. Aaron Wu does not have any reviews yet. Provide legal services to clients with needs in areas such as business formation, securities regulations, onshore/offshore structuring, private placement memorandums, venture financing, term sheet reviews, and general business advice. Other industries of expertise include blockchain, cryptocurrencies, crypto/digital asset related laws, and real estate transactions.